Wimbledon 2018 betting odds on Betfair as Novak Djokovic tips Roger Federer for ninth title. 22 June 2018. "'Roger is the clear favourite without a doubt,' said Djokovic, who may or may not have had a quick look at Betfair where Federer is indeed the [2.82] jolly." 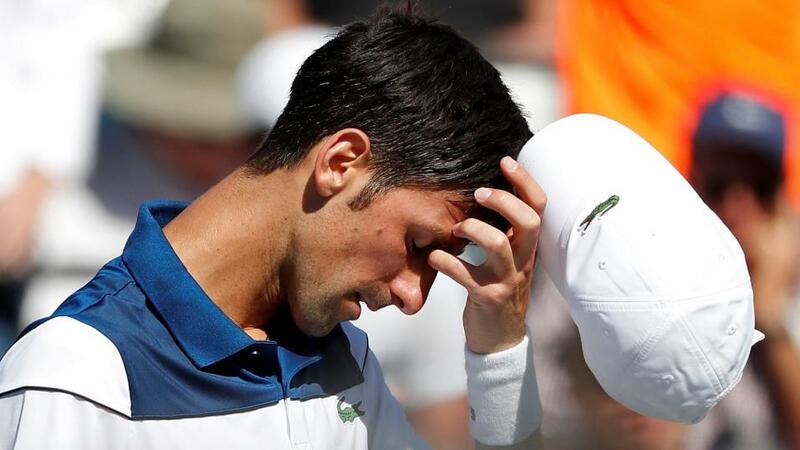 Novak Djokovic is, at the time of writing, still in the Queen's Club Championships. But that hasn't stopped the Serb writing off his own chances at Wimbledon and tipping Roger Federer to win a record ninth title at SW19. "Roger is the clear favourite without a doubt," said Djokovic, who may or may not have had a quick look at Betfair where Federer is indeed the [2.82] jolly. The Serb continued: "(Rafa) Nadal maybe hasn't played well at Wimbledon by his standards, but he's won it several times. He's definitely one of the candidates to win the title." Federer has won Wimbledon a record eight times, with the most recent coming last year. Earlier this year, he won the Australian Open for a sixth time. Nadal is the [8.6] third favourite for the ALL England Club Grand Slam but the Spaniard has played no grass-court tennis this year, having pulled out of Queen's. After him in the betting comes Marin Cilic [12.0] who's having a decent week at Queen's. "Let's not get too ahead of ourselves too early. I'm definitely not one of the favourites for Wimbledon." As we've seen, bettors disagree, so perhaps the Serb is merely trying to lower expectations. "He has home support, things can go in a good direction if he plays well at Wimbledon." Bettors aren't so convinced and Murray currently trades at [27.0] in the tournament winner market.